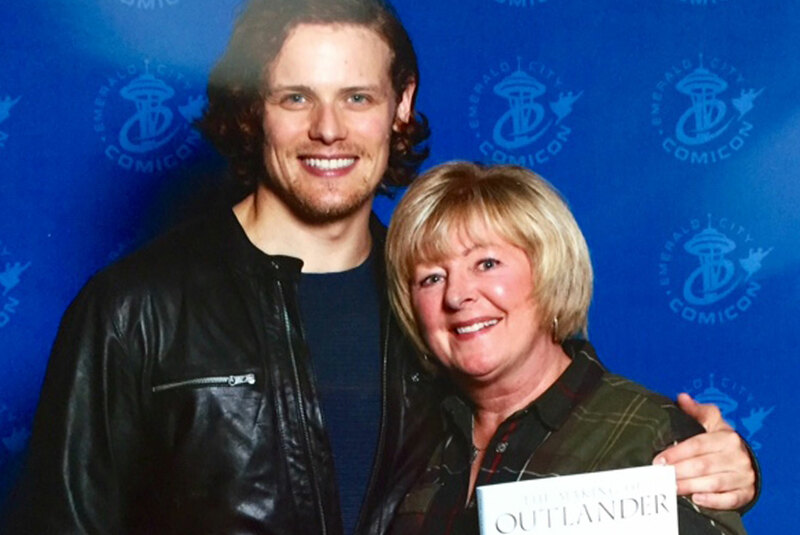 Yes Outlander fans I have just returned from The Emerald City Comicon and what an experience it was! 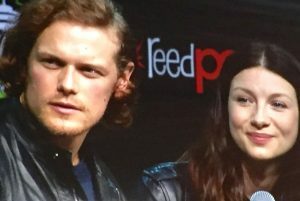 I thoroughly enjoyed the panel discussion where Sam Heughan and Caitriona Balfe told us what filming Outlander was like and the upcoming Season 3 starting in September. Although they could not give us any hints, it apparently will be worth the wait. I then proceeded to the Epic Photo Op floor where I had my picture taken with Sam himself. Ladies I can only say, it was well worth the long line ups even though we all had paid our money in advance, for that sweet 3 seconds to stand beside him!